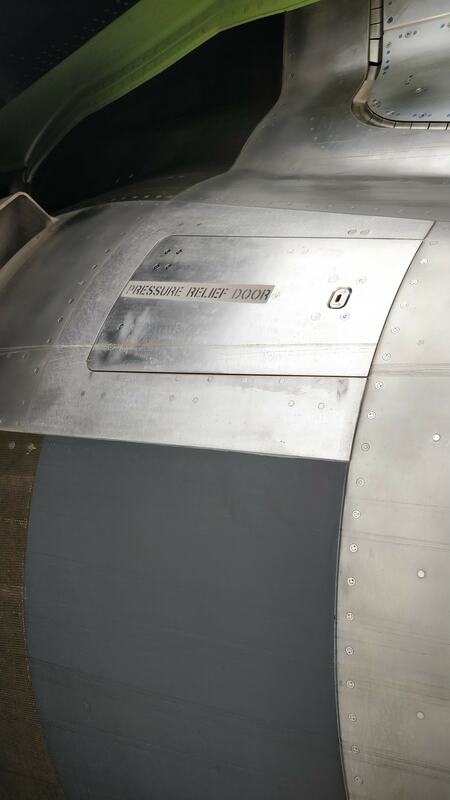 Hey guys many times during my exterior walkaround I noticed on the A320NEOs that they have this pressure relief door and our SOP for the exterior walkaround states to check that this door is closed. However I would like to know what is the purpose of this door? As it's not mentioned in the FCOM. 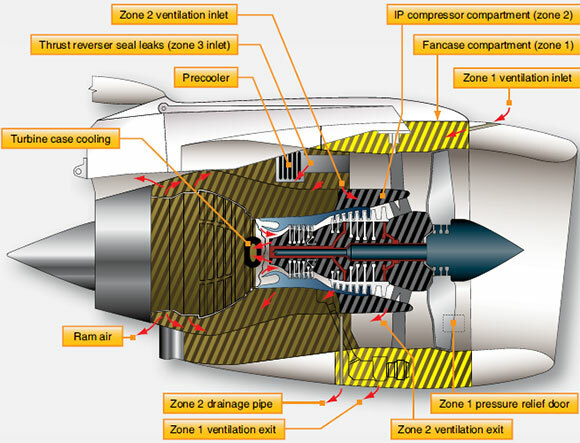 Inside the nacelle cavity of a turbofan engine and in the casing of the engine core, there are different zones or closed compartments used for ventilation/cooling and in the case of the nacelle lip, also for anti-icing (see the first two images below). 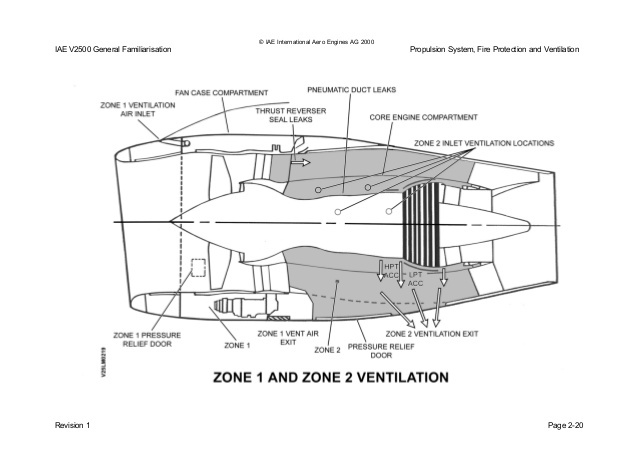 If a highly-pressurised duct (such as the anti-ice inlet duct shown in the 3rd image) bursts, the pressure builds up to a dangerous level, despite the ventilation exits. To prevent structural damage to these closed compartments, pressure relief doors are installed which are triggered automatically. Edit: my first answer lacked some details, so I rewrote it. Not the answer you're looking for? Browse other questions tagged jet-engine airbus-a320 or ask your own question. Why are podded engines preferred over engines fitted inside the fuselage or wing? Why is the A320neo considerably ahead of B737Max? What could cause a rear twin-jet's throttle to oscillate on descent? What exactly is a hot air pressure regulating valve, and what is its purpose? 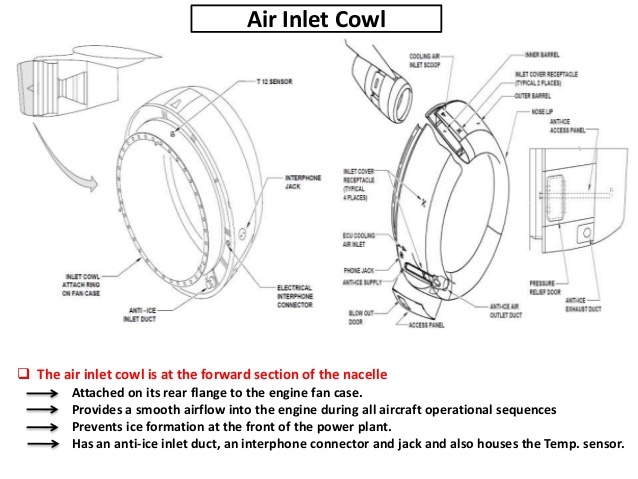 Is this an accurate depiction of the internal shape of a turbofan engine? Why do we have to do an alternate brake check during preliminary cockpit preparation? Why doesn't the A320 pack flow indicate HI as it should? Is my understanding of subsonic inlets correct?